At the base of the Three Valleys, the spa town of Brides les Bains offers affordable accommodation and is an ideal base for exploring the Three Valleys for those not looking for a hectic nightlife. 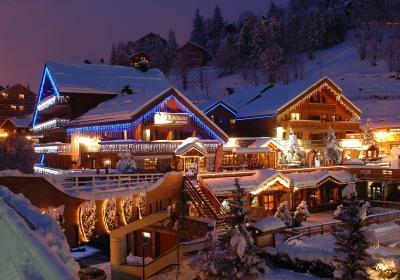 As the largest village in the Valley, Meribel Centre truly deserves its reputation as the largest and most attractive resort in the French Alps. 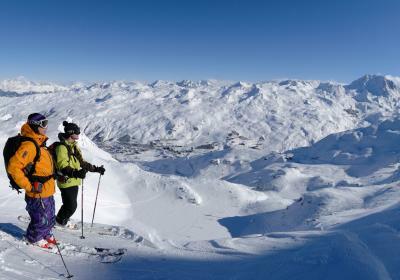 A satellite resort perched above Méribel, Mottaret enjoys views of the beautiful Allues valley. A great option for doorstep skiing, it offers easy access to the entire ski area and gives families or groups a more laid back option. Meribel Village is a traditional Savoyard hamlet with chalets, renovated farm buildings, chapel and communal bread oven. In the evening, a free shuttle bus service takes partygoers to Meribel centre in just a few minutes. Méribel Valley offers some nice easy green and blue runs to introduce beginners to the sport while there is also a good mix of red and black runs to keep intermediate and advanced skiers happy. Méribel, comprising Méribel Centre, Méribel Village and Méribel-Mottaret, lies at the very heart of the Three Valleys and is an ideal base for skiers and boarders of all levels, with 150km of its own slopes and quick access to all 600km of runs in the area via an excellent lift system. The centre of Méribel consists mainly of wood and stone-clad chalets which blend into the resort’s natural woodland setting. On the mountain, early intermediates will enjoy the Altiport run while more advanced skiers and boarders will find a playground in the Mont Vallon sector. Méribel’s tree-lined runs are perfect for days when visibility is poor, although the resort generally enjoys a sunny disposition. Nightlife is lively. Après -ski begins with a 4pm-5pm happy hour at the legendary Rond Point, aka 'The Ronnie', followed by a quick and often hilarious ski down to Le Pub or La Taverne for live music. For the French experience, head to Bar Au Vin or Le Poste de Secours. 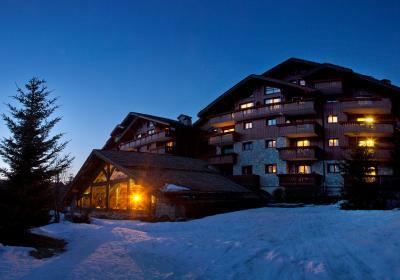 A satellite resort perched above Méribel, Mottaret enjoys views of the beautiful Allues valley. A great option for doorstep skiing, it offers easy access to the entire ski area and gives families or groups a more laid back option. 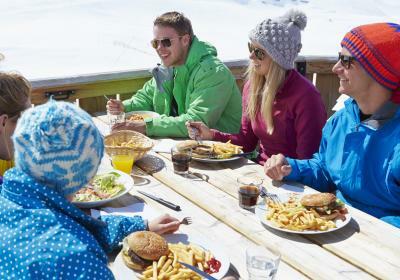 A small resort centre offers a number of bars, including Le Rastro, shops and restaurants and there’s a regular bus service to the centre of Méribel. A traditional spa town, Bride Les Bains is situated at the base of the Three Valleys and while it takes a little longer to reach the main Three Valleys ski area in the morning, it offers the best of both worlds for holidaymakers who want access to 600km of ski terrain with the charm of a spa town and quieter night life.